The Scottish red meat industry will be showcasing Specially Selected Pork alongside Scotch Beef and Scotch Lamb in Cologne, Germany next month at Anuga, the world’s largest food trade fair (October 7-11). Ten Scottish exporters are attending the event where Quality Meat Scotland’s stand will highlight the Protected Geographical Indication (PGI) status of Scotch Beef and Scotch Lamb. This year the stand will also be promoting the Specially Selected Pork brand to importers from around the world. With an exhibition size of over 284,000 m², the trade fair attracts over 155,000 trade visitors from 180 countries, making it a major event for many of Europe’s most influential buyers. Exporters from around Scotland will be joined by staff and European agents from QMS to promote the Scottish red meat industry to buyers and traders from across the globe and highlight the quality assurance, provenance and welfare that underpin each of the brands. Laurent Vernet, QMS Head of Marketing, is looking forward to promoting Scotch Beef, Scotch Lamb and Specially Selected Pork at Anuga. “Every major meat exporter in the world will be in Cologne next week. 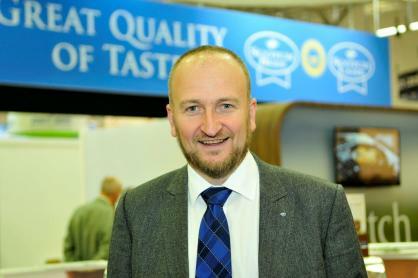 It is therefore vital that Scotland’s exporters have a strong presence at the show, highlighting what sets Scotch Beef, Scotch Lamb and Specially Selected Pork apart from their competitors in terms of quality and reputation,” he said.